Our mission is to unlock the potential within each person or business that we work with. 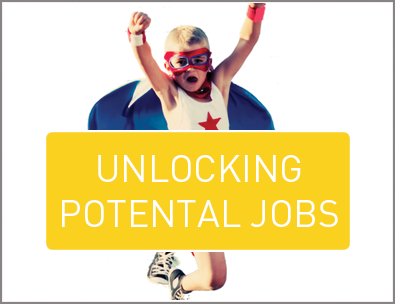 Unlocking Potential has been working with businesses and graduates in Cornwall for over ten years. Through strong relationships, we help businesses grow, create as many jobs and opportunities as we can; develop talent, make connections and tap into knowledge and expertise to create a vibrant and sustainable economy. Our team embodies our values, they are: Can Do, Receptive, Enthusiastic, Authentic, Team spirit and Empowering. Their backgrounds are diverse as they are dynamic, commercial experience is coupled with a proven track record for supporting business and individual growth in Cornwall. Our latest programmes Breakthrough, Future Focus and Transform have created 353 new jobs in Cornwall over the last two years alone. Since 2016, 700 businesses have started and grown into successful enterprises. Many of these exciting new businesses are working collaboratively and are already employing. More than 200 business leaders have stepped away from the everyday to engage with our Future Focus Programme. The inspiring and practical programme consists of Future Focus Events, Labs, and Resources for Cornwall-based business leaders who want to future-proof their businesses. The businesses involved benefit from tools, resources, and collaborative networks, helping them to break boundaries, innovate and prosper. Since switching our jobs platform from Grad Cornwall to Unlocking Potential Jobs in 2016 we have advertised for more than 700 posts across Cornwall. Of the 272 jobs which are supported by us, the average salary is £23,546, while the maximum salary hit £65,000. We ensure that our supported roles have a minimum salary of £18k, which is good for the job-seeker and great for the local economy. Our award-winning employability course, Stand Out From The Crowd, has helped 226 people learn how to harness their potential. And we’ve welcomed over 2,200 delegates to our events in the last five years, inspiring each and every delegate, and facilitating connections which have led to great things for the businesses and graduates who attend. Like any business, we’ve grown and changed to meet the needs of our clients (that’s you!). From humble beginnings (a team of four offering graduate placements), the help we offer has grown and so has the team- now 50 strong offering 7 services. Find out more about the team here. In 2011 the original Unlocking Cornish Potential team (managed by Cornwall College) joined forces with a team from Plymouth University to expand our services to create the Unlocking Potential you know today. We also took on a common business challenge in 2013, exporting our support out of Cornwall, with the introduction of graduate innovation projects, Grads for Growth, across the South West (Devon to Gloucester and all the way to Wiltshire). All our work is made possible by the funding we receive from the European Social Fund and the European Regional Development Fund. Unlocking Potential and Cornwall College is committed to protecting your personal data in line with the General Data Protection Regulation (EU) 2016/679 and Data Protection Act 2018. We are formally registered with the Information Commissioner’s Office and have confirmed our commitment by signing up to their Personal Information Promise. Find out more here. The Future Focus programme is receiving up to £ 4,679,282 and the Breakthrough programme is receiving up to £3,781,250 of funding from the England European Regional Development Fund as part of the European Structural and Investment Funds Growth Programme 2014-2020. The Department for Communities and Local Government (and in London the intermediate body Greater London Authority) is the Managing Authority for European Regional Development Fund. Established by the European Union, the European Regional Development Fund helps local areas stimulate their economic development by investing in projects which will support innovation, businesses, create jobs and local community regenerations. For more information visit https://www.gov.uk/european-growth-funding. The cookies we may use can be found here. Photography or filming will take place at Unlocking Potential events. Photographs are taken to help promote future events and Unlocking potential as a whole. They are also used a historical recording of events and as evidence for funding purposes. Whilst taking photographs Unlocking Potential ensure compliance with safeguarding laws and follow Cornwall College’s safeguarding protocol. By taking and publishing photographs Unlocking Potential are exercising its rights to freedom of expression and the rights of the public to receive information, and recording its interest in creating and archiving a historical record of Unlocking Potential events by taking and retaining photographs which also have an indefinite period of promotional value, which are also “necessary for the purposes of the legitimate interests” (Art. 6 lit f GDPR). Right to Object: Importantly, under General Data Protection Regulations (GDPR), individuals have the right to object to their images being processed. Whilst it is not always possible to avoid an specific image being captured, where an attendee of the event object’s reasonable attempts will be made to avoid photographing that individual, and any identified images of them will be deleted on request at the earliest possible opportunity unless there appears to be a reason why the image should be retained under data protection or other laws or duties. Please let a member of the sign-in desk know if you do not want to be photographed or filmed.